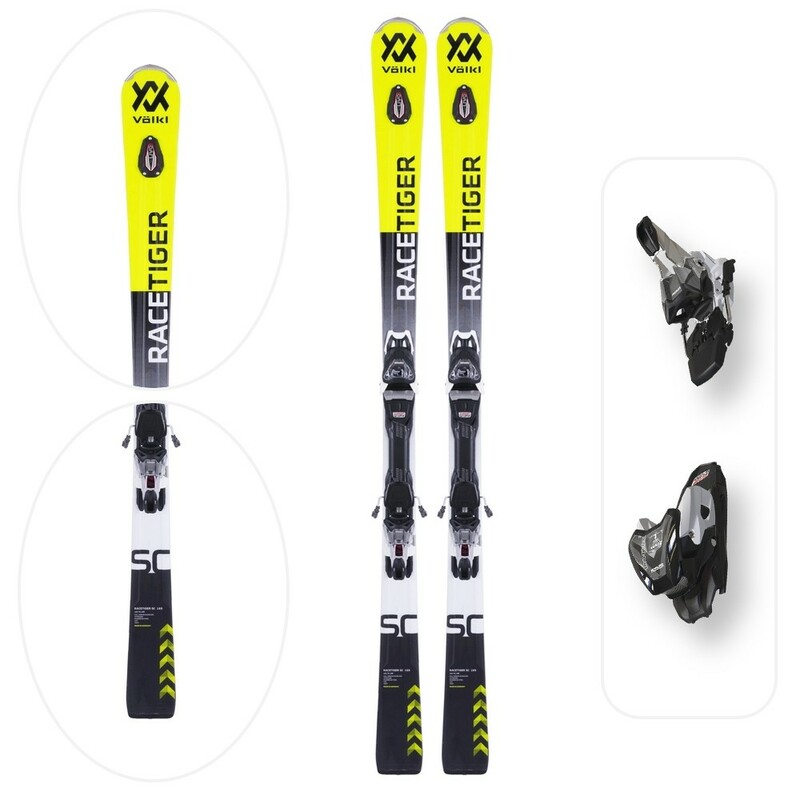 The Racetiger SC is your wild card to enter the world of slalom competitions. The profile rocker tip with wood core Full Sensor makes this ski extremely agile and explosive in the curves. Together with the Full Sidewall construction, the brand new vMotion3 attack compatible with Grip Walk brings all the power and control on the corners. It is the first 360 ° vibration damper that freely rotates and applies cutting-edge technology to reduce vibration and, as a result, minimize the harmful vibrations of the ski. It is inevitable that the ground under the ski generates vibrations which, in turn, cause the flank to move. This significantly breaks the fluidity of skiing and makes it difficult to maintain the inclination of the corner. The revolutionary UVO technology counteracts this phenomenon thanks to the proven damping capacity by reducing the vibrations horizontally, vertically and for the length of the ski. The full sensor structure consists of hardwood in the attachment area but - contrary to the wood core of the speedwall - the soft wood under the vines and in the external areas is used. The result is a very sporty and agile skiing, particularly suitable for young people and freeriders. A layer of steel in the ski provides excellent durability, controlled flex and gentle skiing at high speeds. The power transmission is strong and direct, thanks to the full sidewall structure.